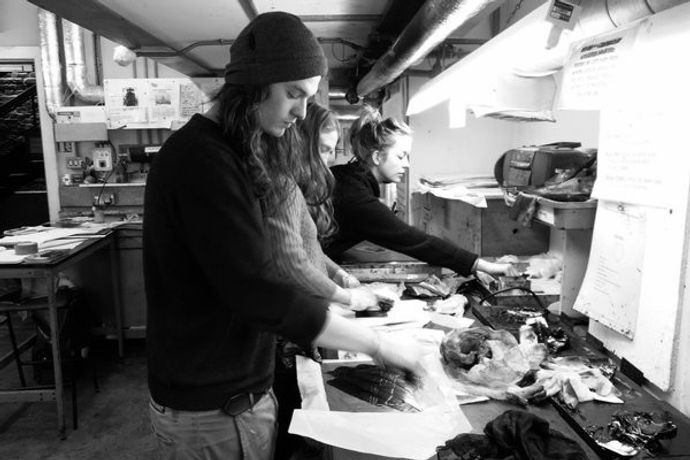 This course will introduce and develop intaglio techniques with an emphasis on etching – hard and soft ground, aquatint, sugar lift and white ground. This course will introduce and develop intaglio techniques with an emphasis on etching – hard and soft ground, aquatint, sugar lift and white ground. Students will investigate ancient techniques to express new ideas and there will be a demonstration of various intaglio techniques for students to experiment with: drypoint, mezzotint, collagraph, carborundum prints, multiplate colour printing and chine collé. Teaching will be tailored to the individual with the intention of expanding students’ visual vocabulary. Please bring visual ideas,a workbook, pencils, pens and brushes. Suitable for all levels.